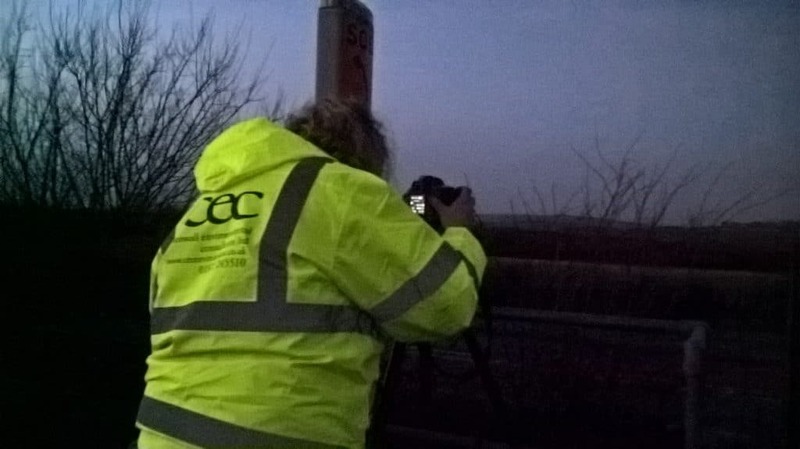 Undertaking a Landscape and Visual Impact Assessment under the cover of darkness? Strange but true – it’s becoming a more frequent request from Local Authorities that certain types of proposed developments will require not just a standard LVIA but also a night time LVIA to establish its impacts in the dark. 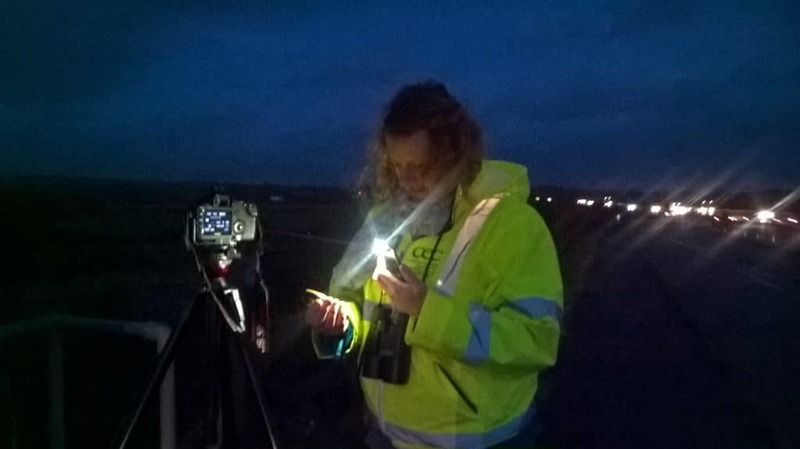 CEC’s Senior Landscape Architect, Lucy Wilson-Richards, undertook a night time LVIA last week. Although the proposed development remains confidential, the initial baseline work determined that it may have a visual impact on the surrounding area at night time due to its proposed lighting and location and the client, who is keen to ensure all effects are fully understood before proposals are finalised, called upon CEC to add a night time LVIA to their existing input. LVIA guidelines state that the site should be clearly visible in the centre of the frame and that there can be no obstruction within the view. 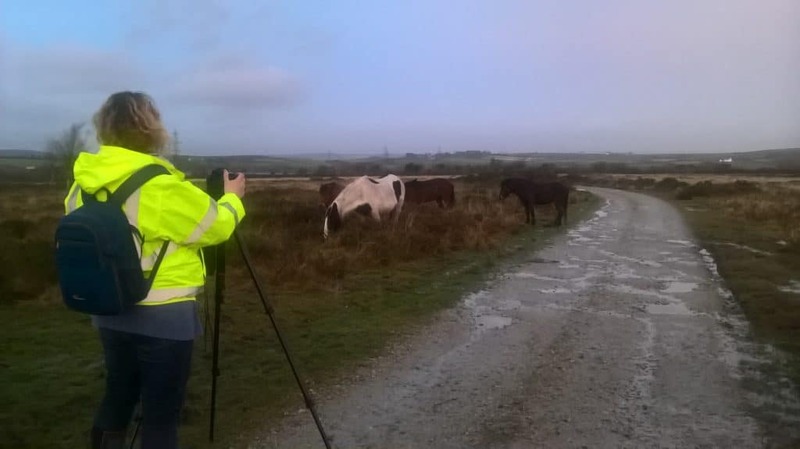 So, just to add to the challenge of trying to take pictures in low light at a particularly remote location, a herd of ponies decided they wanted to be part of the assessment and happily wandered across the shot every time the shutter clicked! 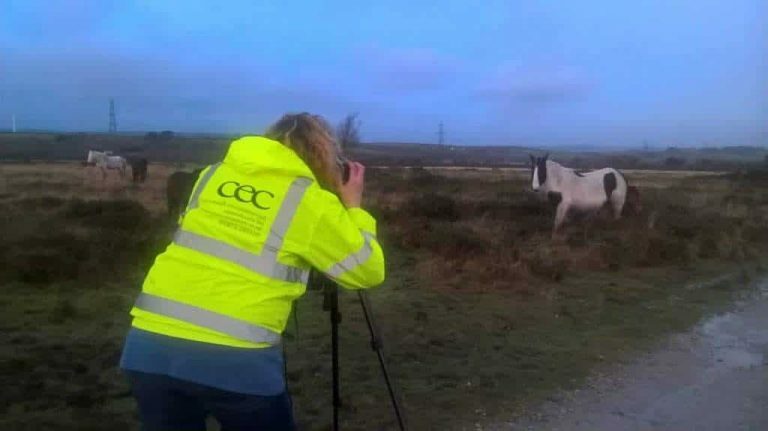 Luckily, Lucy’s colleague Jenny Stuart providing H&S cover, was on hand to help shoo the curious ponies away.